Bitcoin deserves the right symbol. Why should the Bitcoin community adopt this symbol? 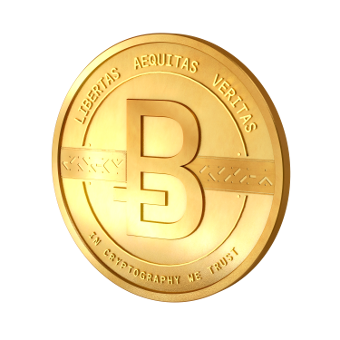 Since the birth of Bitcoin, a large number of logos and symbols have been introduced. The most popular is a bold falling serif B, intersected by two vertical dashes à la U.S. dollar. The problem is that the image on the left is a logo! It’s a unique image file, just like it could be used by a company to sell or promote a product. Currencies are represented by symbols like $, € or ¥, aiming to be used everywhere by everybody. The Thai Baht (฿) is sometimes used to represent Bitcoin, but this certainly raises a problem of differenciation between the Thai Baht and Bitcoin. Ƀ is not a logo but a symbol: Unicode Character U+0243 can be used any Unicode text editor. This unicode character was originally used as a phonetic symbol to represent or transcribe the sound [β]. 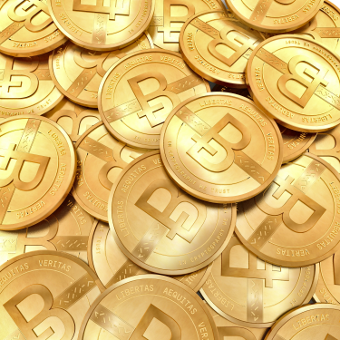 Thus the context of this use does not allow any confusion with the Bitcoin currency. 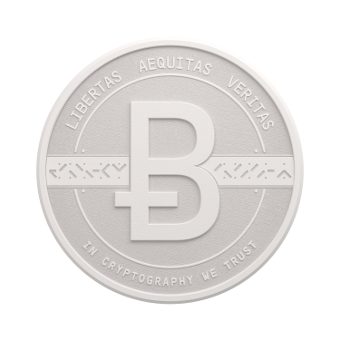 The idea to use Ƀ as a symbol for Bitcoin is not new ; this character was one of the original candidates to represent Bitcoin, but most of the community’s proposals were more fancy logos than a manifesto for the usage of a symbol. A logo is defined as a centralized graphic identity composed of colors, fonts, and shapes chosen by a small group of individuals. 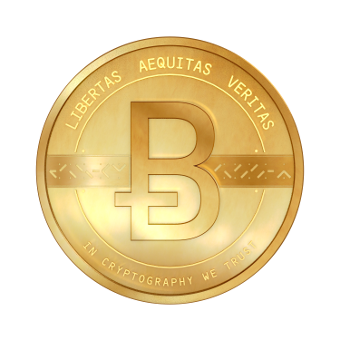 Bitcoin, however, is a decentralized currency – it’s neither a brand nor a product or company, and what we need for representing Bitcoin is a symbol rather than a logo. Arial and Times New Roman both support the Ƀ symbol as well. They are not libre fonts but they can be found on almost every systems. Create images, and use Ƀ in Bitcoin-related apps, websites and paper. 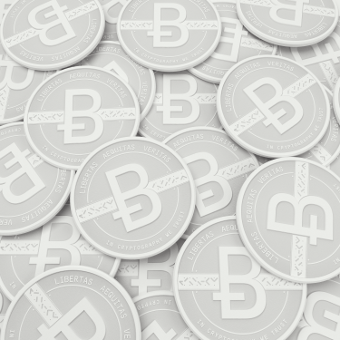 As a widely distributed, peer-to-peer digital currency, Bitcoin needs an open-source graphic identity, designed with open source software by and for the community. It has to be as minimal as possible to allow further adaptations. Because Ƀ is simple, extendable and perennial, it fulfills all those requirements. Hacking time! The following tool will help you to design custom banners and buttons using the Ƀ symbol. It generates vector images (SVG) or PNG, ready to be embedded on your website. This logo is yours – customize it as you like with gradients, cat faces and unicorns to adapt it to your own personal designs! All the images below are included in the graphic pack that you can download for free. You can also modify those images the way you want with your favorite vector editor such as the online tool mondrian.io, Inkscape or Illustrator. This pack contains free high resolution and vector images, 2D and 3D source files, fonts, all under free / open source licenses. Feel free to improve this website and suggest new ideas on the Github repository. Images and 3D graphics are hosted on a dedicated “graphic pack” repository. Yes, and this is a non-profit project. All the content included in the graphic pack is free to use, copy, distribute, and transform just like you want. Our work is under the Free Art Licence (except if stated otherwise, e.g. /fonts). We make no profit from this project and all the work we provide is free of charge. If you like it, you can support our work via the options listed above under the “Donate” chapter. It’s a hack! Why not ask the unicode consortium to add a brand new character? 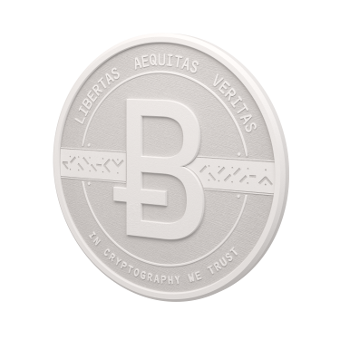 We believe that there’s no better way to represent Bitcoin than a hack. Bitcoin creators and users are hackers, and our hack is part of the project’s DNA. As there is no Bitcoin consortium, agreeing on a new character to use may be difficult. Thus, this must rely on community support and adoption in the long term. As the attempts to add the double vertical dashes B to Unicode has failed, we believe that this is a really long and complicated process. This is without taking into account the fact that popular fonts have to be updated to support this symbol. As you can understand, it can take ages. Did you also do this similar project about Ƀ? Yes we did. What you are reading now is a revision of this previous project with a slightly different approach. We are ECOGEX, a graphic design studio based in Paris. We have been working with Bitcoin since 2011. We design global branding solutions for our clients, including everything from logos to web design. For further information, refer to the About section. What font did you use for the circled Ƀ on this page? DejaVu is its name. It is a free (as in free speech) font included in the graphic pack. For more information about DejaVu, visit its dedicated website. Can I hotlink your images on my website? Please don’t. Our server is not supposed to be a content delivery network and we can't ensure perennial URL. Download the graphic pack instead! One of your question is not on the list? You can open an issue on the dedicated GitHub page. Get notified when the project evolve! To Ƀ or not to ฿. CG artist: 3DMinfographie. Blender sources available for free in the graphic pack. Online SVG editor: SVG-edit (used on Customize). Made with free software and love. You can find the source of this website on GitHub, and modify the graphic pack on its own repository. Donations will be much appreciated!